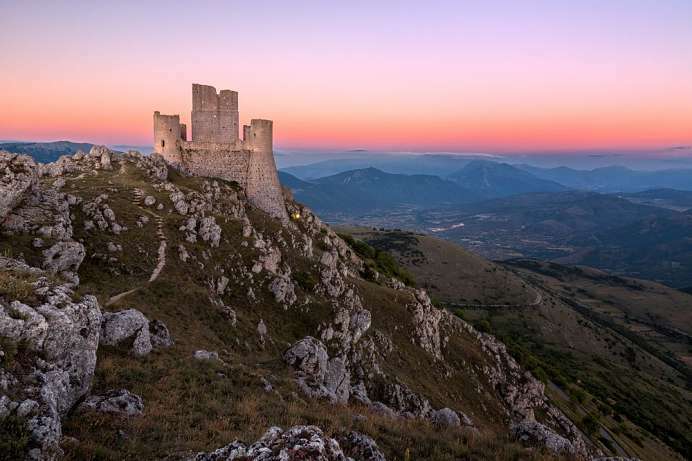 This mountainous region is bordered on one side by a narrow section of the Adriatic coastline. Hills emerging from the coast grow steadily into the highest mountains on the Italien Peninsula. 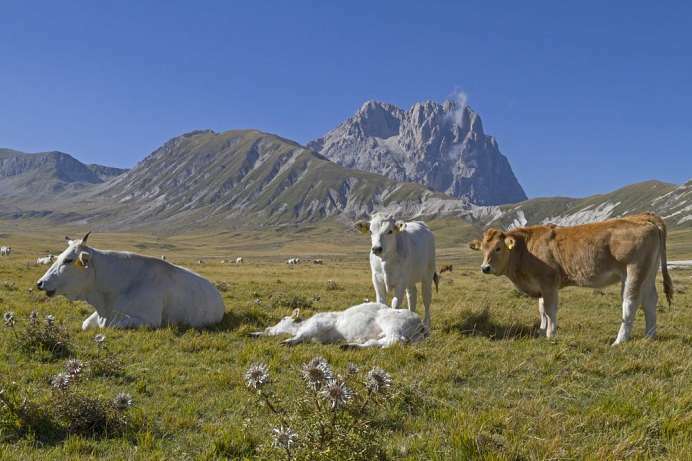 The At the Gran Sasso Massif, the Abruzzean Apennines reach a height of 3000 meters. Nearly a third of the land area is a nature preserve. 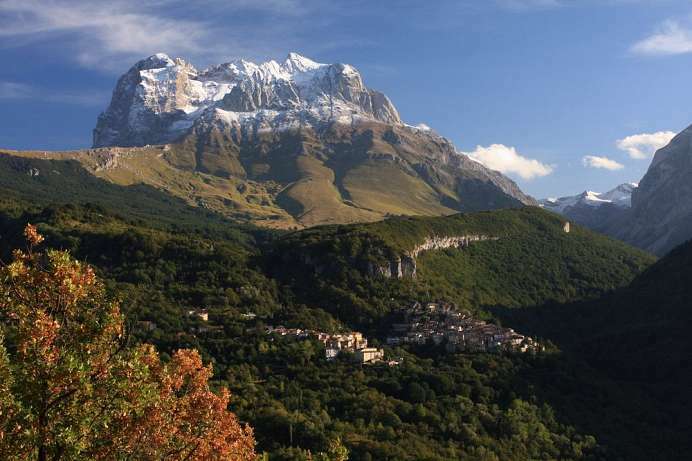 Abruzzo National Park, which lies in the southern part of the region, is Italy's oldest national park. In the West, the regional park of Sirente Velino beckons with its unspoiled natural beauty. The Gran Sasso is a major highlight – the “Giant Rock” has incredibly jagged peaks, fantastic ridges and vertical cliffs. The park is inhabited by around a hundred brown bears in addition to wolves, chamois and lynxes. The “Great Rock of Italy” is the highest mountain on the Italian peninsula. If you want to climb it you will have to walk four hours from the summit station of the cable car. You will be rewarded with a spectacular view: most of central Italy can be seen from the top. To the east you will see Pescara and the Adriatic Sea, and to the west the Sabinian mountains north of Rome. On clear days the Tyrrhenian Sea is even visible. Gran Sasso is part of a nature reserve that protects one of the largest wilderness areas in Italy.